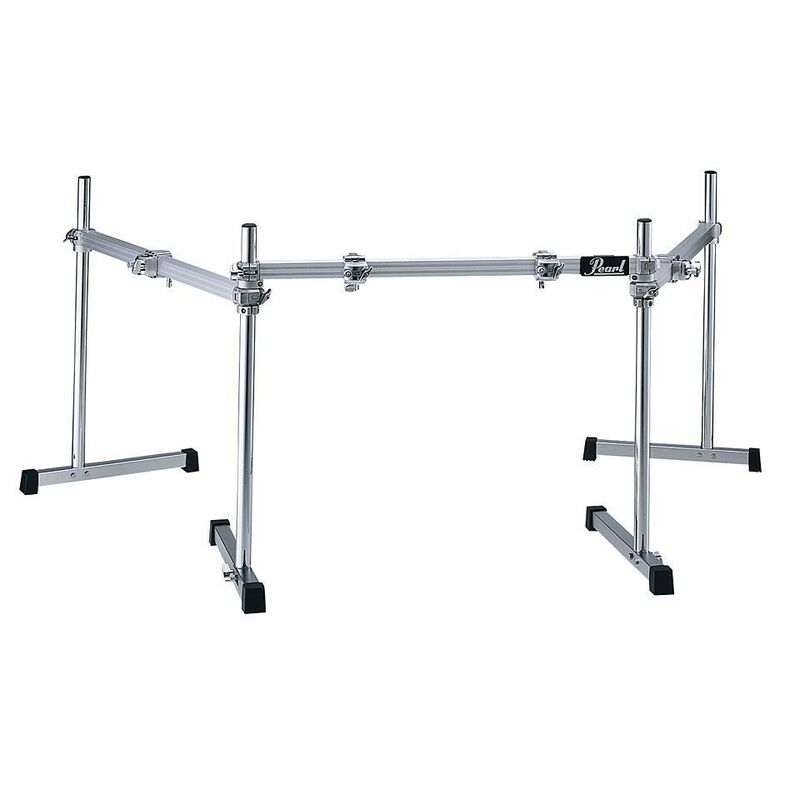 The Pearl DR-503 Drum Rack is the first height-adjustable drum rack that uses 100% slip-proof square tubing. The Icon system provides infinite and independent adjustment to any position on its 34" long legs. Set-and-forget memory clamps allow quick and repeatable set ups without tools. The T-style feet are very stable. Includes front and two side sections. Equipped with 7/8" tom and cymbal holders on each front leg. All rack bars are 36" for compact storage and easy transport. Includes four PCX100 clamps and two PCL100 clamps.